Hands Free. Electronic devices, including photographic or recording equipment (e.g., phones of any kind, cam-corders or cameras of any kind, flashlights, radios, iPods, etc. ), are not permitted on any ride. Phones, cameras and other devices pose a serious safety hazard on rides. Depending on the ride, all such devices must (in the Park’s discretion) either be completely secure on one’s person, or may not be allowed at all (even in your pocket). Electronic devices, and any hand-held object of any kind (lotion, keys, iPhones, etc. ), is totally prohibited on water rides. Finally, if at any time you feel you need help due to an injury or medical concern, please immediately notify a park staff member and ask for help. Thank you very much for your understanding and cooperation! Upon arrival at the park, please inquire as to available accommodations. Guest Services: 1-866-FUNatDW (386-2839) or Click Here. If you cannot locate your child in the Park, our Park staff is here to assist you. Please feel free to alert a staff member who will be happy to assist you in locating your child. That said, please note that we do not page guests. We recommend that as you enter the park, you decide on a meeting place should you be separated from any minors under your care. Water Park Attire – Appropriate swimwear is required for water rides or water-play structures. Swimwear which is too provocative or revealing, including without limitation, transparent or mesh-style material, is prohibited. Footwear must be worn by children and adults when riding the Pipeline Plunge. Adults and children are welcome to wear their Halloween costumes to Happy Hauntings at Dutch Wonderland. We ask all guests in costume to keep the family-friendly nature of the event in mind when choosing to wear their costumes to the Park. We do not recommend that adults wear masks to the Park during Happy Hauntings and refrain from wearing costumes that are frightening, gory or inappropriate in nature for a family amusement park. Dutch Wonderland reserves the right to ask a Guest to remove any costume deemed inappropriate for our Park. 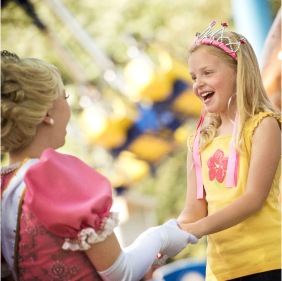 Also, costumes, or portions of costumes may need to be removed on some rides for safety reasons. Weaponry of any kind is strictly prohibited at the park, including without limitation in parked cars, concealed on one’s person, or carried in bags, including without limitation: Firearms, knives and other cutting instruments, letter openers, scissors, box cutters, bats, billy clubs, blackjacks, collapsible canes, arrow tips, projectiles, crossbows and sling-shots of any size, mace, pepper spray, tasers, brass-knuckles, chains, canes carried as a weapon or which conceal a weapon, martial arts weaponry, anything which is intended to be used to bind or subdue people such as slip-ties or handcuffs, and tools (screwdrivers, pliers, hammers, chisels, pruning shears, multi-tool knives, etc.). Additional prohibited items includes anything which is inherently dangerous to persons or property, which could be used as a weapon or which could foreseeably cause harm to persons or property, including without limitation, fireworks, explosives or detonation devices of any kind, ammunition, hazardous chemicals or other substances, including acids or other items which appear suspicious to Park personnel. Tools (screwdrivers, pliers, hammers, chisels, pruning shears, multi-tool knives, etc.). Hoverboards, skateboards, unicycles, stilts, pogo sticks, spring-loaded footwear, Segways and other mobility devices, bicycles, roller skates and other toys or methods of convenience. (If you need a wheelchair or scooter, we are of course happy to accommodate you; please see our Guests with Disabilities section herein). Amusement parks are crowded places, and the only way to keep our common areas safe is to ensure that people do not have devices which create a heightened risk. The Park welcomes all breastfeeding mothers and their children and (in accordance with applicable law) does not discriminate against breastfeeding mothers. Park staff may approach a breastfeeding mother to offer a more shaded or private area to breastfeed, such as our Nursing Mothers Station, but we only do so in a sincere attempt to provide a breastfeeding mother with more comfort or privacy if she so desires it; we will never demand that a breastfeeding mother must relocate, nor do we discourage a mother from breastfeeding wherever she has a right to be. Season Passholders must present their passes to gain entrance to the Park (season passes are NOT transferable for others to use). Season Pass entry is only valid once a day. Guests who leave the Park and plan to return must get their hands stamped before they leave the Park at the exit/re-entry gate. When guests return to the Park, they must enter through the re-entry gate with a proper hand stamp. For information on rides, lockers, ride accessibility, wheelchair rentals, booking group events, and other information, you can contact the Park at 1-866-FUNatDW (386-2839) or Click Here.